Overall the Dell XPS 15 is exemplary as 15-inch laptops go. We can't think of any other Windows machine we'd rather own. Laptops can usually be split into one of a few different camps. There are chunky gaming laptops that'll give you back-ache, but can handle running The Witcher 3 like no other. There are super-ultra slim laptops with amazing battery life. Or those fancy pants 360-degree-rotating-screen hybrids. The Dell XPS 15 isn't happy to side with one team, though. This is a fancy metal-topped laptop that's reasonably portable for this screen size but also has loads of CPU power plus a dedicated GPU for a bit of gaming when you're not working on spreadsheets and the like. In short this Dell is a do anything, go anywhere demon. Well, as long as you don't go too far. The one slight weak link is battery life. And as with any XPS machine, the latest 15-inch model doesn't cost peanuts, starting from £1,099. The Dell XPS 15 is very different from the XPS 13, which won the Pocket-lint best laptop 2015 award. There's more than just two inches of screen size to consider in this comparison. It's no major surprise. At 15-inches the Dell XPS 15 might sound like it's a bit too big to sit around with the "cool" laptop clique such as the Microsoft Surface Book and Lenovo Yoga 900 are part of. But that's not the case. Its design dynamism is one of its most important features: just look at the screen surround, called an "InfinityEdge" by Dell. It's an absolutely tiny bezel, much smaller than that of even the most stylish portable laptops. So what we end up with is a 15-inch laptop that feels only slightly less portable than, say, a 13-inch MacBook Pro. It does this without trading away the serious look that Dell XPS kit has had compared with some of its more style-obsessed rivals. This isn't Dell's equivalent of a man hitting 40 and buying orange suede trousers. The XPS 15's lid is finished with anodised aluminium, also used on the bottom, while the inside has a very comfy soft touch plastic finish with a very subdued carbon fibre-style pattern. It feels great, but does pick up greasy marks in seconds and doesn't like letting them go. Aside from fitting a 15-inch display into almost as small a footprint as is possible (we have even greater/slimmer expectations for the 2017 version), it appears conventional. The one style motif that tells you this isn't a nerdy, purely practical machine is that the keyboard doesn't have a numerical pad. Is it a portable dream thanks to all that smart design known-how? The XPS 15 is a tiny bit smaller and a tiny bit lighter than a MacBook Pro 15. We've been using the Dell as a remote working laptop, which, at 2kg, you wouldn't want to take it on a 5-mile walk - but it's actually very light for a machine with a serious graphics card and processor on-board. It feels like a laptop made with quality materials and a lot of attention to detail too. The part that sells us the Dell XPS 15 as a work machine is its keyboard. Its feedback is top-notch for what is still a slim-profile chiclet design. There's a backlight too, which has a pleasant white LED glow. Typing feels firm and responsive, with none of that hollow vibe you can get with some portable laptops, and no ergonomic issues. Dell has shaved-down the arrow keys too, but we didn't find this an issue. There are no "bonus" buttons either: the XPS 15 just gives you the basics, but nails them. Apart from the fairly personal issue of liking (or not) the feel of a keyboard's keys, we rarely have too many issues with the keyboards of 15-inch laptops. It's when you run out of physical space to work with that things get hairy. Trackpads are open season in all categories, though. As with the keyboard Dell seems to have hit the bullseye with a trackpad that feels comparable to that of a MacBook: it's a different style, but the same quality-grade. The XPS 15's trackpad has a lovely super-soft top surface, a deep click that requires a bit more pressure than some, but not much. And, unsually, we've had no major problems with firing the right mouse button when we wanted the right, or the other way around. This sort of "it just works" factor with a trackpad is very rare among Windows laptops. The great feel of pad and keyboard make the Dell XPS 15 a pure joy to work on. But can you use the Dell XPS 15 for all-day working? Not really. While Dell says the battery lasts for up to 17-hours, this must be with the screen turned off and it simply idling on the homescreen, or something. In actual use as our normal work PC, we got about 5.5-hours of use from a single charge. Disappointed? Be sure to check out the Dell XPS 13. That machine is much more stamina-focused than this one, partly because it lacks the power and GPU. If you're wondering why the Dell XPS 15 doesn't last as long, it has a lot to do an with the core components. The biggie is the 15 uses an 'HQ' series CPU rather than a 'U' one, meaning it's able to draw on a lot more juice as needed. Our battery life observations are based on the 1080p version of the Dell XPS 15, not the all-pixels-firing 4K version Dell also makes. What we have on review here is the lowest-end version of the machine, which will cost you £1,099. Even the low-end 1080p display is very good, though. It's an IPS LCD screen, but unlike a lot of the more lifestyley laptops and tablets that use this tech, the Dell XPS 15 has a matte surface. That means you'll be able to use it anywhere without reflections becoming a major issue. Colours are good, although calibration with a colorimeter knocked out a blueish-greenish skew that you'll see fresh out of the box. and aside from a bit of brightness loss everything looks perfect from almost any angle. As with any 15-inch, 1080p screen, our review Dell XPS 15 doesn't make text look super smooth and sharp. If you want that "Retina look", the 4K configs start at a slightly eye-watering £1,449. 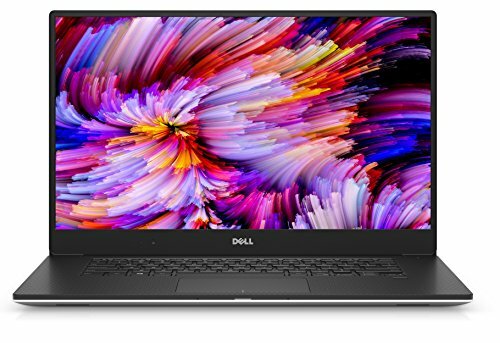 It's still a lot cheaper than a 15-inch MacBook, though, which start at £1,599 (and don't even get you the dedicated GPU that Dell offers even in this £1,099 version). One important thing to note about the 4K version of the XPS 15, though, is that it has a reflection-happy glossy finish. For some this might be less practical. The higher-res display is also a touchscreen. But don't buy it expecting 4K gaming with the latest titles. That GPU is the GeForce GTX960M. No, it's not the market-leading GTX980M, and it's performance isn't even close to it, but it's a great chipset for those who like gaming but aren't after a laptop designed solely for it. The big question: what can it play? Pretty much anything really, just not necessarily at ultra-high settings. The Witcher 3 runs fairly well at 1080p with 'medium' visuals switched on. That means you miss out on some anti-aliasing and some of the sillier floppy hair physics (yes, literally), but it still looks great. While you can get not-so-nice laptops at this price with the step-up GTX970M GPU, even Dell wouldn't claim the XPS 15 is an all-out gaming laptop. It is a surprisingly good one, though. On the other side of performance, we only have the most basic spec load-out here. That means an Intel Core i5-6300HQ quad-core CPU, 8GB RAM and a 1TB hybrid hard drive. What this does is to take a fairly ordinary 1TB hard drive, then weld a 32GB SSD cache to it, letting it offer something like the more snappy feel you get when running off full SSD storage. Spend more and you get an Intel Core i7 CPU and SSD storage. The Dell XPS 15 likely uses performance throttling even with this lower-end spec, because the Dell XPS 15 is pretty quiet almost all the time. The fans do run whenever the laptop is used, but they are intensely quiet, and not annoyingly loud when the system is working flat-out. We did notice the odd slightly geriatric moment when unplugged from the charger, although at the same time it can handle very demanding games when not plugged-in. Odd. If you're out for benchmark-topping pure performance then you could get something with way more grunt from somewhere like MSI, Acer or PC Specialist. But they likely would not be as nice to use. A big part of the XPS 15's appeal is the relative convenience of the frame, the great build quality and that top-tier pad/keyboard combo - all factors to not overlook. As with so many other elements of this machine, the speakers, positioned on the front-most part of the underside, are classy. While there's no attempt to ramp-up the bass with "woofer" drivers, the treble is clear and the mid-range is powerful, natural-sounding (if slightly boxy) and detailed for laptop speakers. It's a carefully considered, coherent performance. Nice work. To finish - and it's probably not the exact bit you've all been waiting for - let's detail the ports in the Dell XPS 15's sides. You get a pretty uninspiring two USB 3.0 ports, as well as a new-style USB-C port, SD card slot and HDMI socket. We'd have liked one more standard USB, but there's also a neat little extra: a little 5-pip LED display that shows you how much battery have left. The Dell XPS 15 is an unusual laptop. In the venn diagram of portability, power and generally looking and feeling great, it tries to cover everything. And unless you want something very light or are a turbo-nerd, it absolutely succeeds. Which is a rare thing indeed. It can play the latest games at reasonable settings, has a good screen and is a much more manageable size and than your average 15-inch laptop. Not to mention being rather lovely to use thanks to its high-quality keyboad and trackpad. Battery life is just passable, but that only really sticks out because Dell's own claims are so far removed from the reality. Overall the Dell XPS 15 is exemplary as 15-inch laptops go. We can't think of any other Windows machine we'd rather own at this size.